Softworks recently completed a survey in conjunction with Public Sector Executive and are delighted to share the survey results with you. 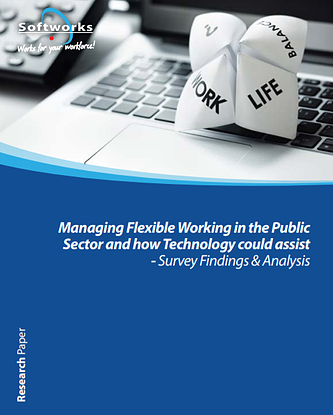 The purpose of the survey was to learn more about the flexible working options available to employees working within Public Sector organisations, along with how current and future technologies could be designed and developed to improve operational processes. The survey was carried out in November 2018. It was emailed to Public Sector Executive’s 120,000 subscribers and promoted on their website and via social media.